1. 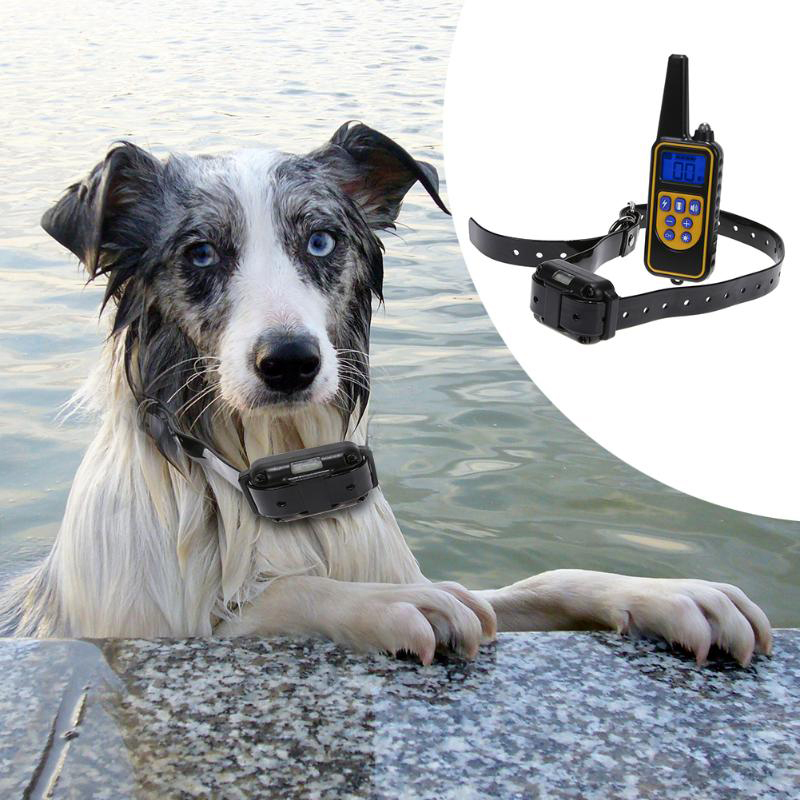 The latest technology product will allow your dog to swim with a receiver and even dive together. Receiver's maximum diving depth is 30 meters and in depth 1 meter of water it can soak for 24 hours. 2. The most popular and humane dog trainer available at the moment. 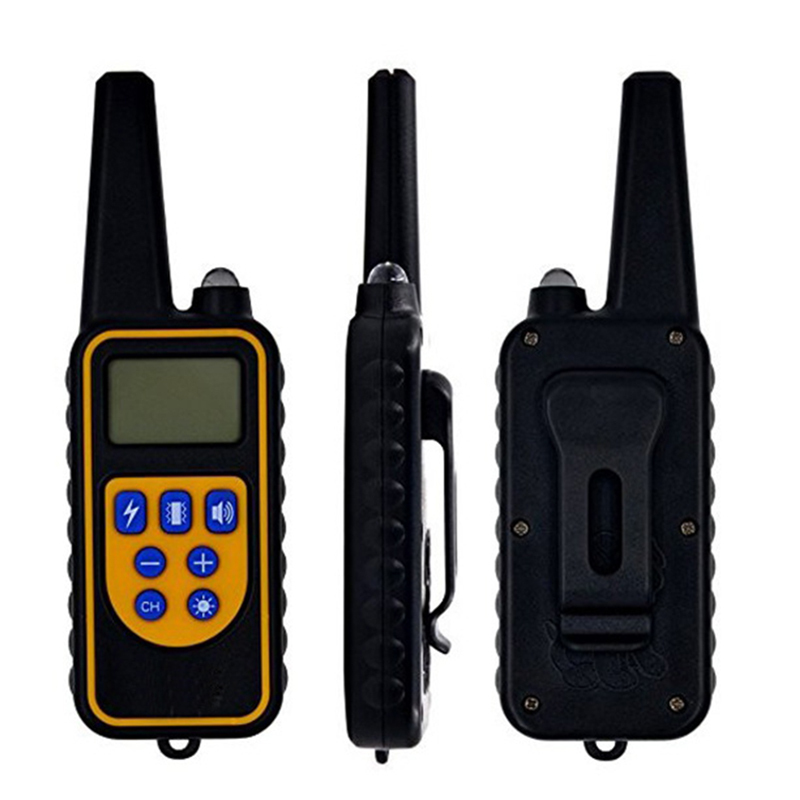 It can be used to help dogs correctly bark, walk, train, sit, invade, and obey other acts. 3. 0-99 adjustable static stimulation with vibration shock, and a standard sound mode. Three type of stimulus ensures that you will find a training pattern suitable for your dog. 4. 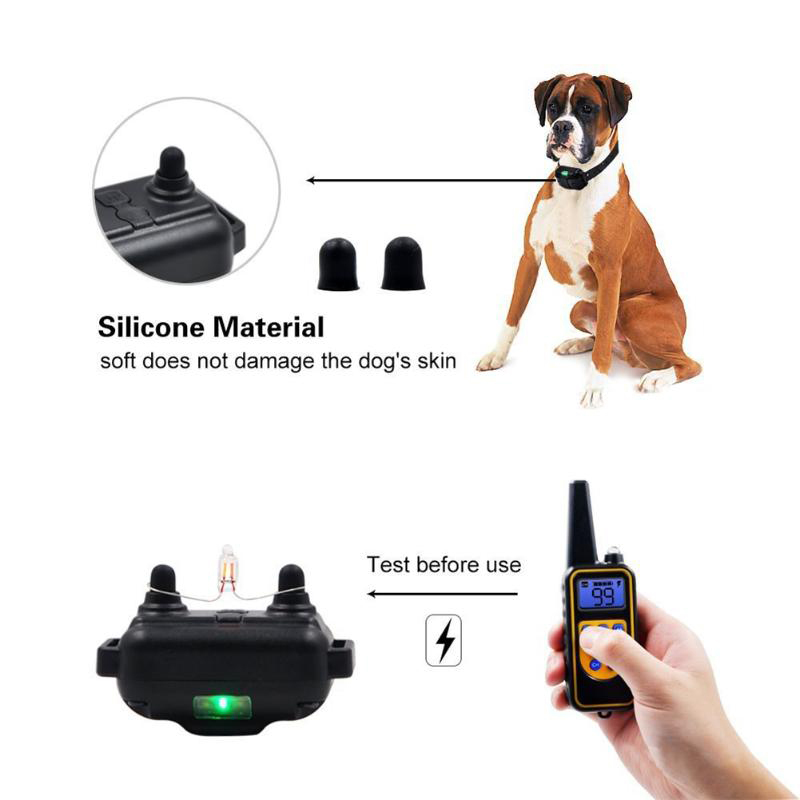 The design of remote control technology is to ensure the remote control range up to 800 meters and let you train your dog in the park or backyard. 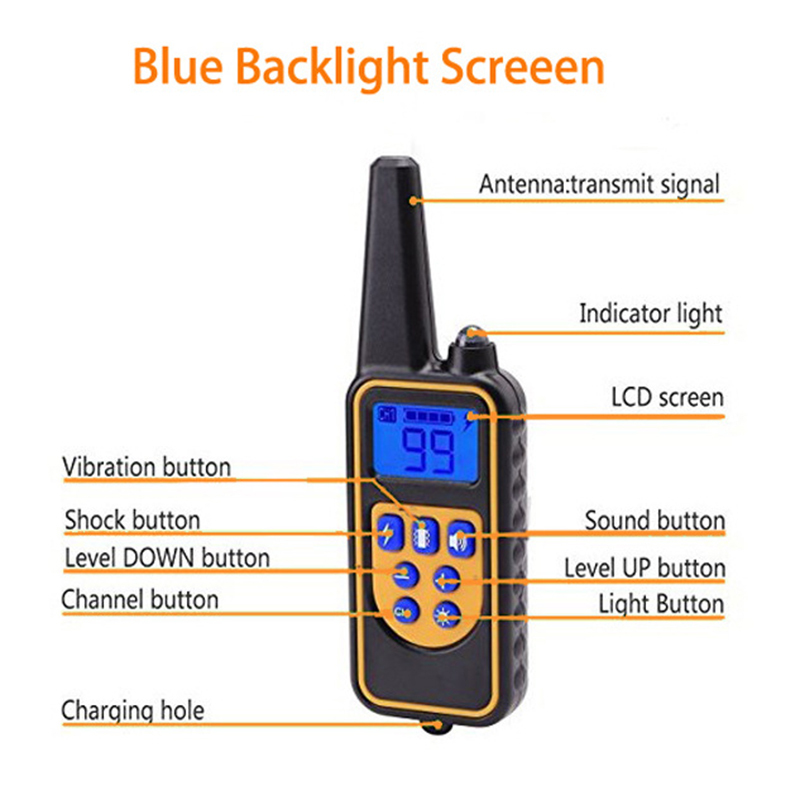 Waterproof and rechargeable receiver and transmitter, so you can train your dog in rainy days; 14-24" adjustable collar size for neck. 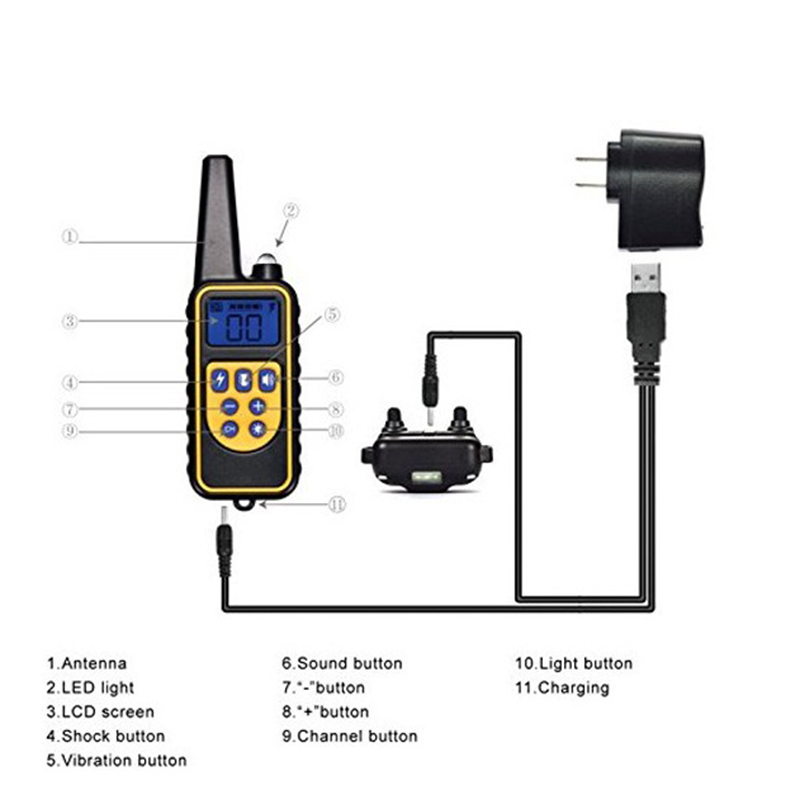 We will provide you with a detailed product using instruction book which will allow you to achieve the best working result in the shortest possible time. 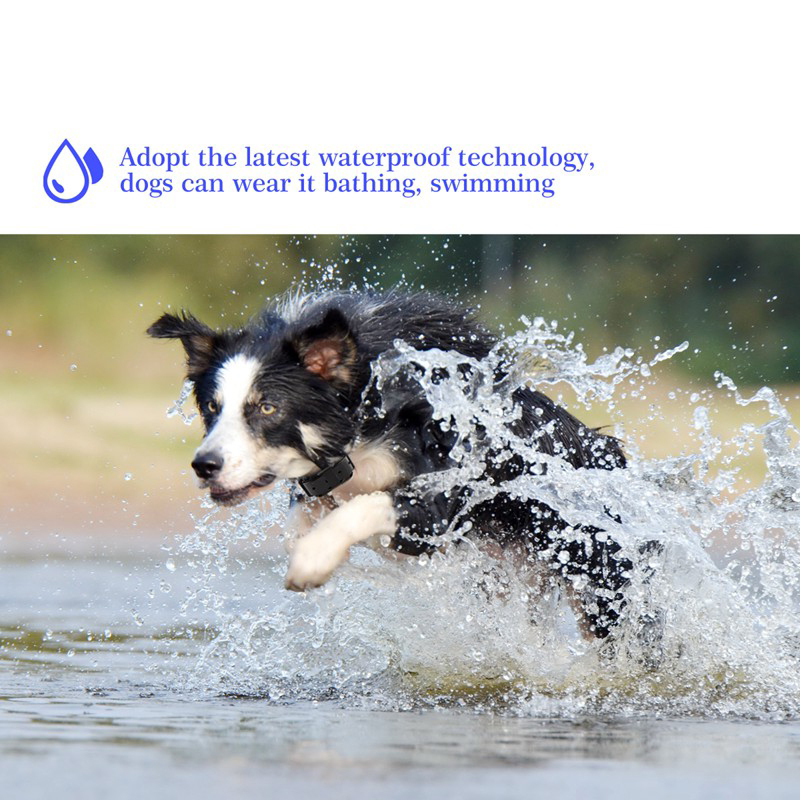 In addition, the product's strong waterproof ability enables you to swim with your pet in the pool or sea and enjoy the diving. Training collars are used to train dogs, not for punishment. 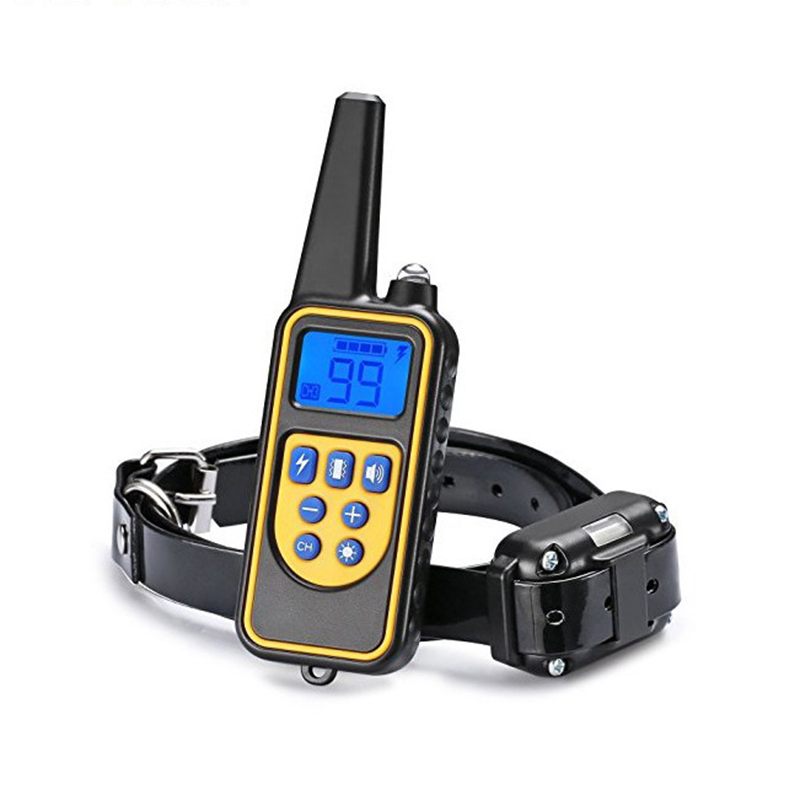 This collar has three options for training dogs, beeps, vibrations, and static shocks. 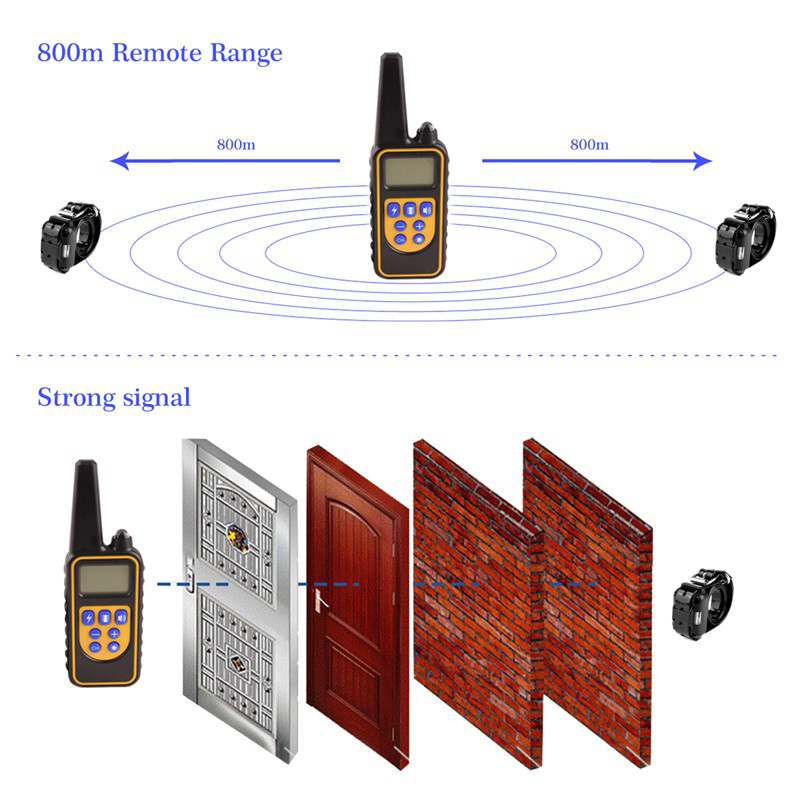 Electrostatic shocks are always used as the last option or not use. 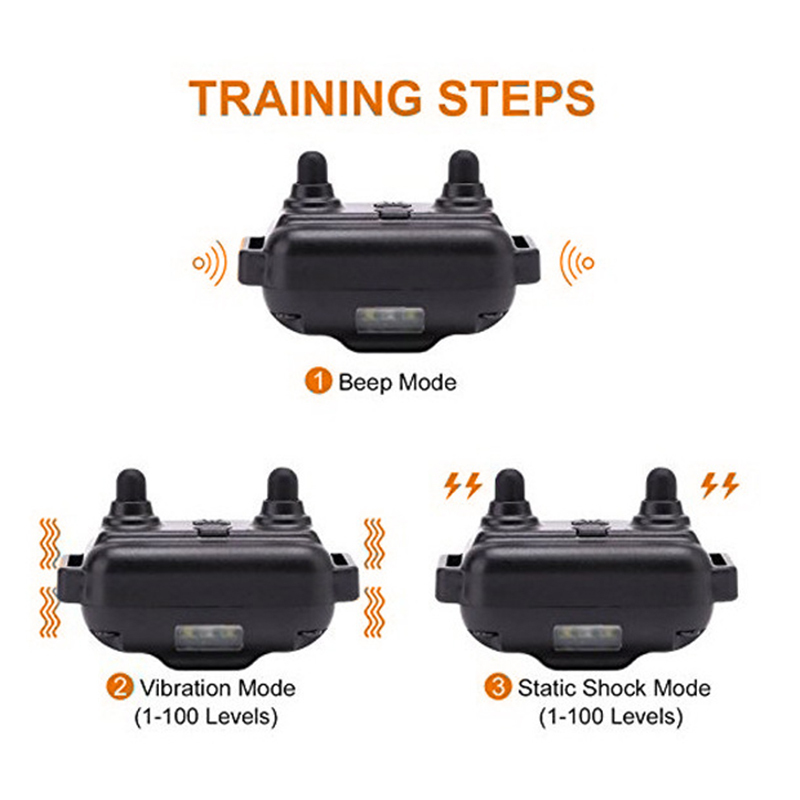 We strongly recommend vibrating training mode if you don't want to use a static impact collar. 7. Collar length range is 20-72cm/7.87-28.3"